Last weekend I prepared another diner which I had not cooked for a very long time. 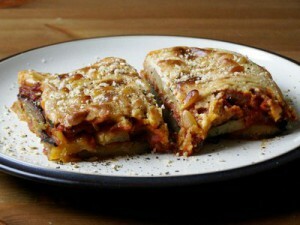 I love rich oven dishes, and traditional greek “moussaka” is a long-time favourite of mine. I learnt how to cook it while I lived in a student home. There are many variants of moussaka which do not honour the original method of preparation. Things like potatoes do not belong in moussaka.. while cinnamon, oregano and lots of vegetable oil do belong! I try to follow a more traditional approach. Any greek readers, please come up with improvements if your Mom had a different recipe! The result will be a heavenly smell in your kitchen while the dish is finishing in the oven. Your belly will be all warm and fuzzy after emptying your plate. The prime ingredient in moussaka is the aubergine, or eggplant. This fruit (commonly mistaken for a vegetable!) is one of the family of nightshades – like tomatoes, cayenne, and even tobacco. It’s easy to spot in the pic below that this is a fruit – it contains seeds. 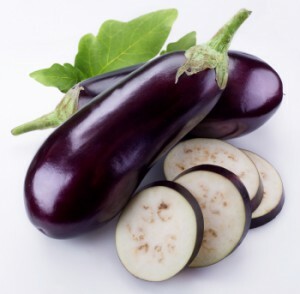 Like with tomatoes and potatoes, there is a certain bitterness in the eggplant which you can eliminate by “sweating”, steaming or grilling. I am going to grill the eggplant. Another ingredient which deserves a separate mention, is the béchamel sauce. This sauce of butter, flour and milk is thought by many people to be difficult to make, but in fact it is dead easy, The béchamel, along with grated cheese, will create a beautiful soft-crunchy crust on top of the moussaka. First we create the meat/tomato sauce. Heat a few tablespoons of oil in a pan, add the chopped onion and garlic and let it cook for a few minutes until the onion gets a nice golden-brown color. Keep stirring with a wooden spoon to prevent the garlic from getting black and bitter. Add the minced meat, turn up the heat and let it cook for a few minutes until all of the meat has turned brown. Add salt and pepper to taste. Add lots of cinnamon powder and oregano. Don’t hold back! In this dish, more is better. In particular, you can never have too much cinnamon. Leave the meat and onions to simmer on a low fire for a few minutes. Then turn up the heat under the pan again, and add the peeled tomatoes. If these are not chopped-up tomato parts, you cut the tomatoes up into smaller pieces before you add them to the pan. Allow the tomato to integrate with the meat and onions; there is a lot of liquid in the tomatoes which needs to boil away. Then turn down the heat and leave it to simmer on low heat with the lid on the pan. We will not need the meat sauce until later and we might just as well allow the flavors to mix for as long as possible – it will enhance the dish. Don’t forget to taste! It may require more salt and cinnamon. We continue with the béchamel and the eggplant. You can work on these in parallel. Cut the top and bottom off the eggplant, removing the leaves. Cut the eggplant along its long side in slices of 0.5 cm (0.2 inch). Once exposed to the air, the slices will color brownish after a while so it is best to cut only a few slices at a time and apply the next step in the preparations. Brush both sides of an eggplant slice with olive oil and place it in the grill-pan. Leave it on the grill for a minute or two and then turn it over. This will make it tender, eliminate the bitter taste and sweeten the eggplant. You can put several slices in the grill pan at a time, to speed up the process. Melt the butter in a pan (low heat) or in the microwave. Add the flour (all at once) and keep stirring the mixture (with the heat kept low!) so that you get a smooth mixture. Let the mixture (the “roux”) cook on low heat for about 4 minutes, this will eliminate the floury taste. While stirring, take the pan off the fire from time to time to keep the flour from turning brown – we want the béchamel to keep its white color. Gently, add the milk while you keep stirring the mix. Let it cook for another 10 minutes at least, stirring the béchamel sauce from time to time to keep it smooth and prevent burning. Then turn off the heat. Brush the inside of an oven dish with olive oil. More is better. The oil will prevent the eggplant from sticking to the dish when it bakes in the oven. Cover the bottom of the oven dish with slices of grilled eggplant. On top of that, pour half of your meat/tomato sauce until it covers the eggplant. Then, add a new layer of eggplant slices and on top of that you pour the remaining half of the meat/tomato sauce. Sprinkle this with a generous amount of grated cheese. If you still have eggplant slices left, you can place those on top. Grab the pan with the béchamel sauce,, and pour it over the other ingredients in the oven dish. It will trickle down into the dish, but the majority will remain on top. Sprinkle some more grated cheese over the béchamel. Not too much cheese, the béchamel must remain visible! We do not want a burnt cheese crust, we want to create a soft crust of cheese mixed with the béchamel. Place the dish in the middle of your oven and let it bake for 20 minutes. The moussaka is ready when the crust starts turning light brown. Serve it with some greek white wine like retsina. I could eat this every week… but it took years to find an opportunity cook it because my son dislikes the taste of the eggplant. He still did not like it much… but he ate it all anyway. Posted: 4 December, 2011 in Me, Recipes. From a quick search in Greek recipe sites, I can tell you that half of the recipes do include potatoes and half do not. My mother uses potatoes in moussaka. I wouldn’t use sunflower oil or any other vegetable oil. In Greek cuisine, unless you have a good reason not to do so, you always use olive oil. I would also suggest using minced beef meat. I’ve never heard of a moussaka recipe using lamp. Minced lamp meet is mostly used in eastern cuisines (arab, armenian, kurdish). We Greeks, only use it for dishes like kebab, that are eastern dishes we have adopted. Finally, I would suggest you to sprinkle freshly grated nutmeg on top of the béchamel before placing the dish in the oven! It smells fantastic! Lovely regards from Athens, Greece. Thanks for your comments. I was thinking about the nutmeg, because it’s what “we” over here put in our béchamel… but I was not sure how it would mix with the flavour of the cinnamon so I left it out. About the potatoes, one myth busted then. What do you do with the potatoes, cook them? Or fry them? Potatoes in the oven are a bit bland unless they get a nice brown crust. Olive oil, yes! You are right. Other vegetable oil won’t come close to tasting as good. As for the lamb, you should try it 🙂 It tastes good in this dish. About the potatoes, if you are going to use them, you have to fry them before. I phoned my mother and she said that she does not use potatoes (many people do). So, I got this wrong. For the minced meat, most people put cinnamon, onion, garlic, tomato, sugar, allspice and maybe brandy or wine, but not oregano. I know, people make fun of as for putting oregano and lemon everywhere, but I don’t think we put it here. 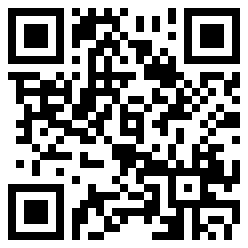 If you like it, then use it. Experimenting in the kitchen is a nice thing to do! Mmmm, suddenly I’m VERY hungry. My sister keeps trying to get me to do more “proper” cooking, instead of mostly bunging ready-meals in the microwave. I am not big fan of cooking, or meat but Musaka is regional dish and we have many recipes for. This one is Bulgarian. And if search you will find that every country around have own traditions how to prepare Musaka. Thanks for posting this. My wife and I liked this very much. Moussaka, will once again grace our dinner table very soon. (на български: Пълнени чушки) and the Panagyurishte-Style Eggs (на български: Яица по панагюрски). Really nice to see the variation with the Lamb. As this dish is usually done with the traditional beef mince. A very tasty and healthy dish. I did a similar moussaka whilst on the G.I diet. When veg is together like this it produces some great flavours. this recipe is the best I’ve eaten in my entire life.